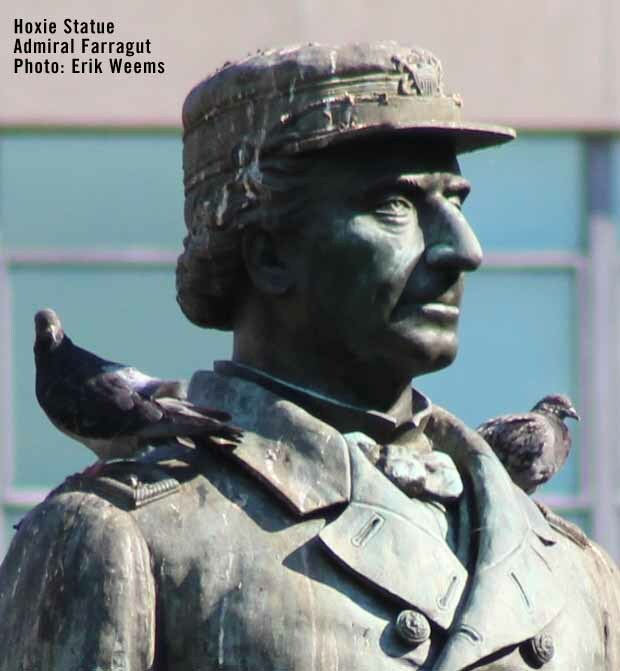 Lavinia Ellen "Vinnie" Ream Hoxie is the sculptor for the statue of David G. Farragut who is in the dead center of the park on an uplifted pedestal. 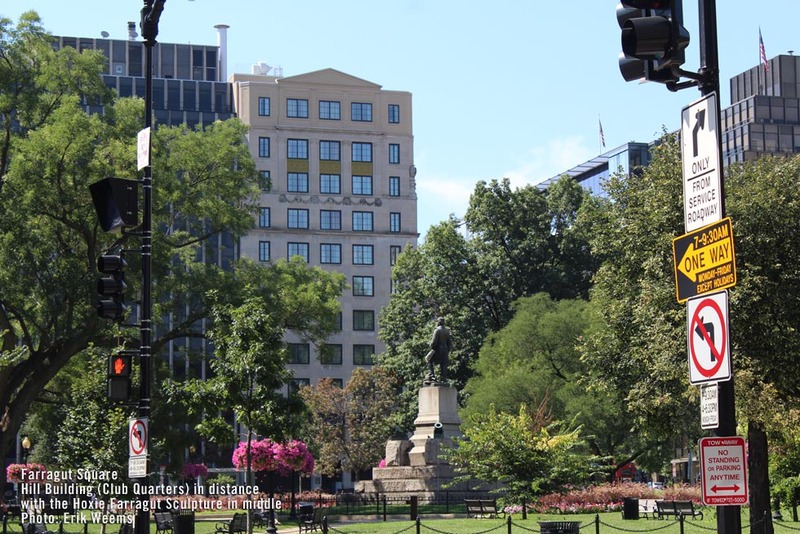 The structure contains metal from Farragut's flagship the USS Hartford from where he lead naval forces during the American civil war. 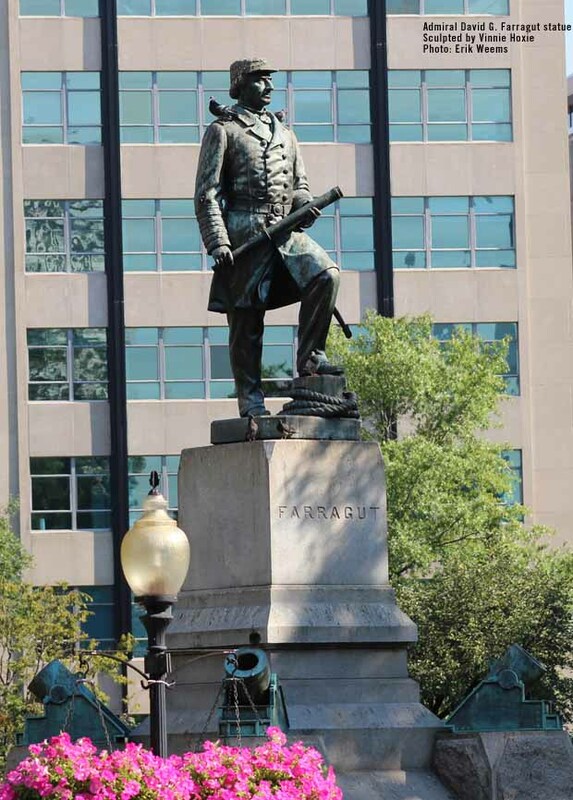 Farragut is best known for exclaiming "Damn the torpedoes, full steam ahead" during the battle of Mobile Bay. 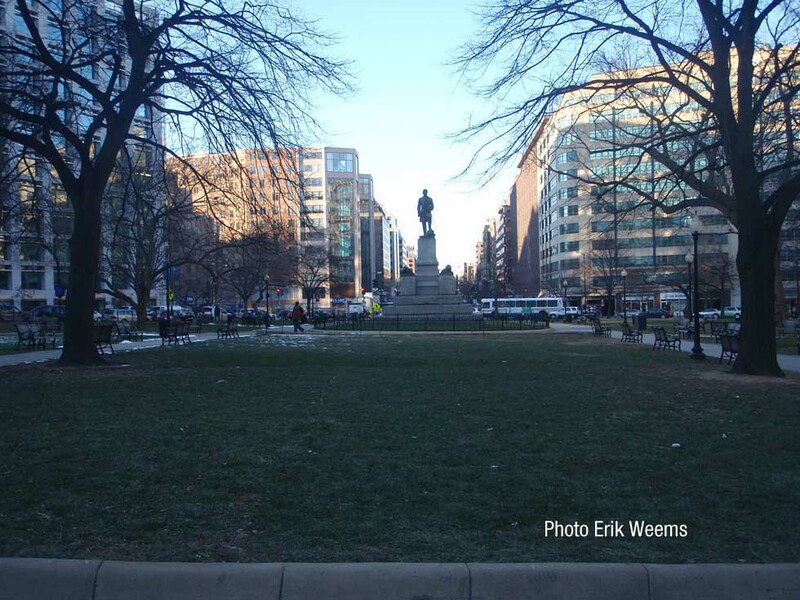 (Hoxie actually lived in Washington DC just off Farragut Square in 1881 when the sculpture was completed. 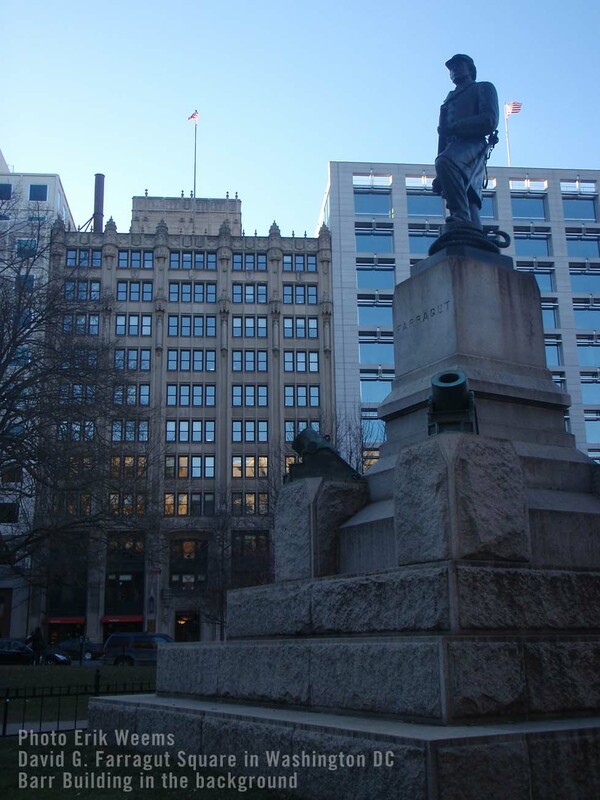 She also sculpted many other statues around DC, including Lincoln and Sequoyah). 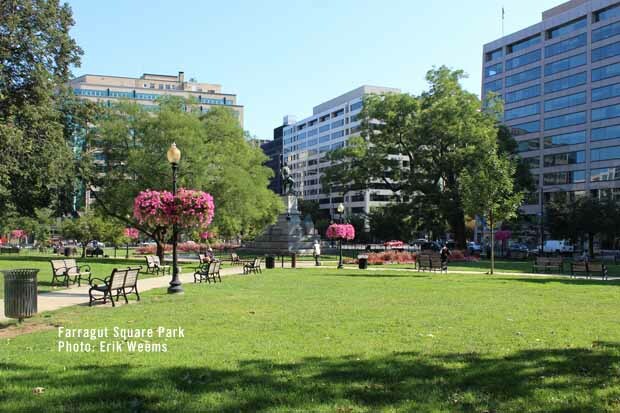 The park is a lunch time magnet during warm weather, and at times used for small concerts and social events. 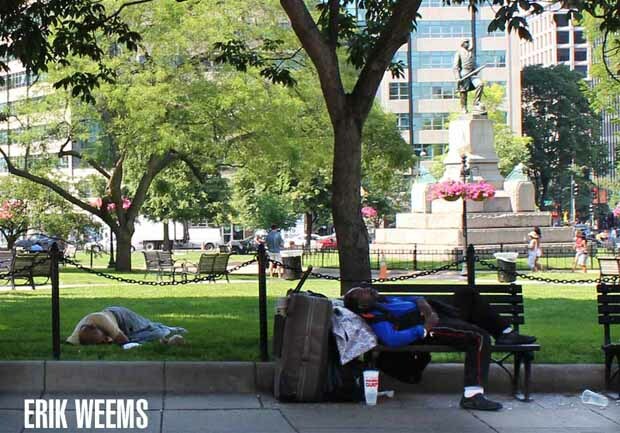 Homeless use it for sleeping and relaxing (and asking for funds). Area employees use it for naps. 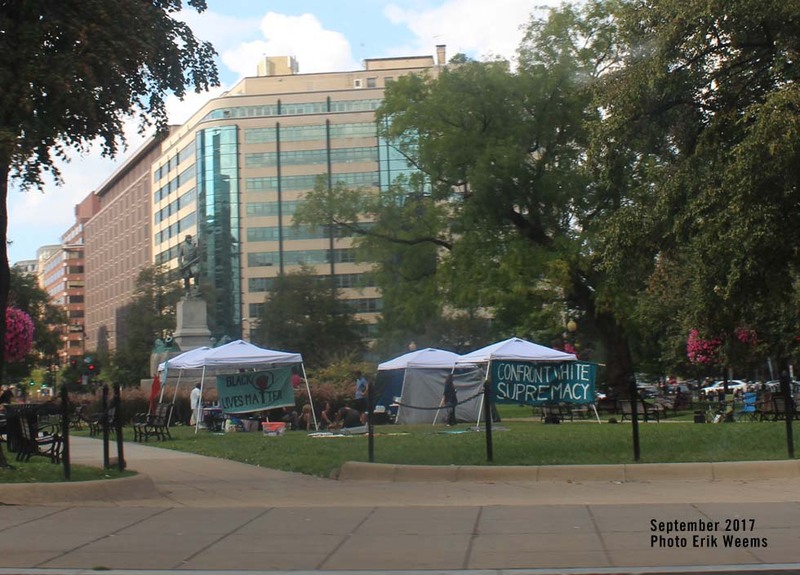 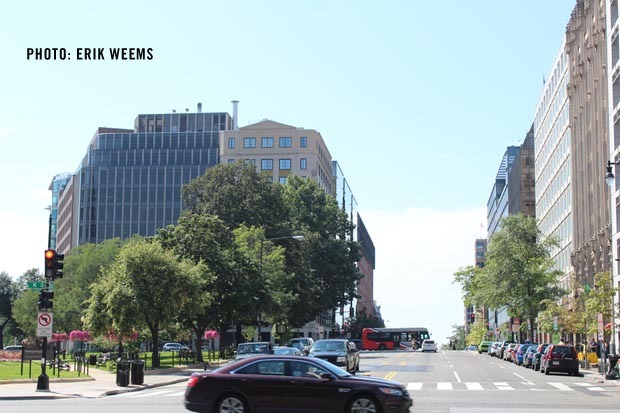 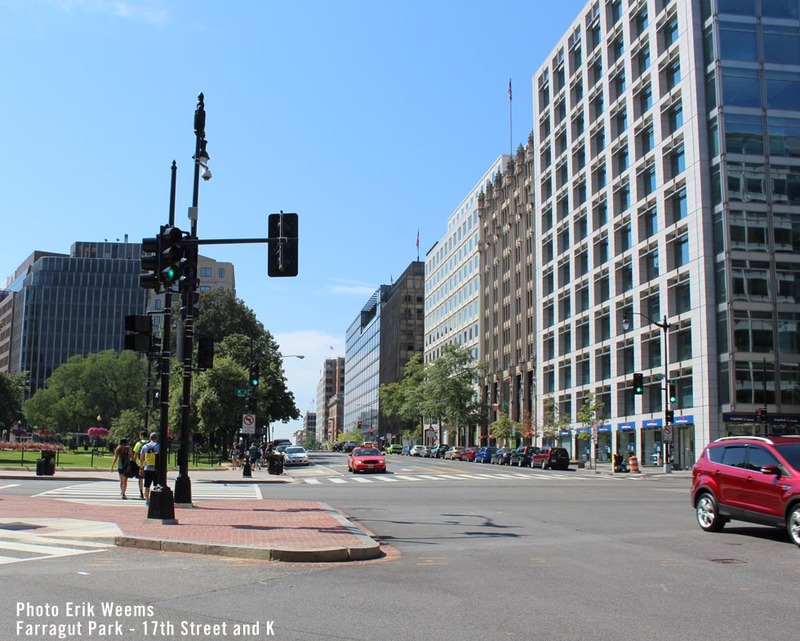 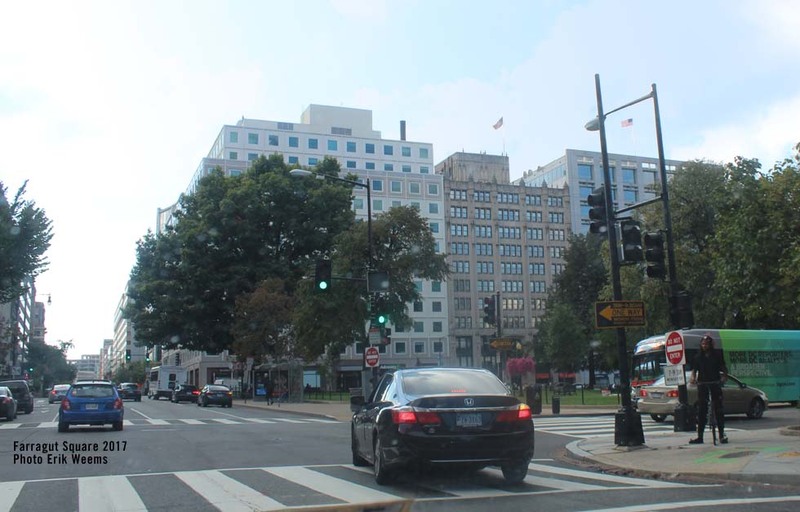 Groups of people meet there before going down into one of the two nearby metro stations, or the park is used as an easy to find rendezvous position before they head off into the night time entertainment areas of NW DC.